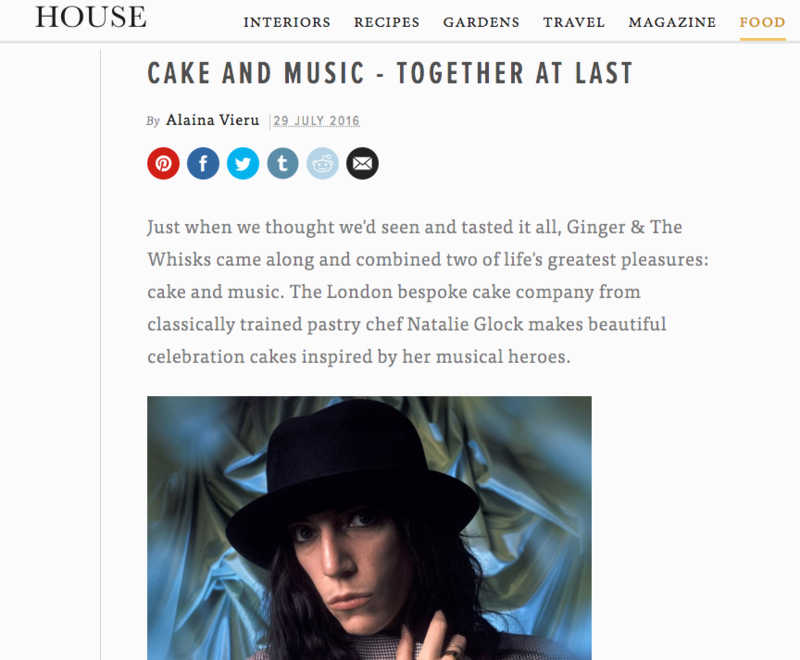 "Ginger & The Whisks are the perfect choice for any music-loving couple looking for a delicious, modern wedding cake infused with a dash of rock star cool." 'I was lucky enough to have 3 amazing cakes created for my wedding by Natalie. We wanted the cakes to be our dessert so I needed to ensure they were yummy enough as some wedding cakes can be pretty dull. Well, I didn't need to have any concerns about that with Nat! The cakes were absolutely amazing - we had Patti, Stevie and Debbie and they were by far the best cakes I have ever tasted. My wedding was 2 years ago now and my guests still talk about the cakes. My only problem was that there wasn't a crumb leftover for us the next day! I can't recommend Natalie highly enough. She communicated with me throughout and came to set the cakes up on the day. She even allowed me to use my amateur home made cake toppers on them! "If music be the food of love, rock - and bake - on."